Wood, being one of the most comforting, warming and stylish material that is used for decorating homes. It gives a relaxed yet stylish feeling, creating a pleasant environment all over. Wood can easily be shaped and designed sophisticated to create some of the exciting furniture pieces. You can build some of the outstanding as well as affordable patterns, styles and designs of furniture to add a touch of class to your space. You can carve wood into different pieces of furniture right from traditional ones to contemporary ones. You just need to have proper analysis of wood that can be used for the making the desired piece of furniture. When it comes to choosing the proper type of wood bar stools for your space, make sure you look over all the types of wood that is used in making such piece. It is believed that wooden bar stools are one of the most renowned types of stools available in the market these days. No other material can match the elasticity, usefulness and appearance provided by these wood stools. One of the most significant features of wood bar stool is their strength as well as durability. As they are available in plenty of designs, styles and finishes, it becomes somewhat confusing to pick the just appropriate one for your home, office, restaurant, café or bar. Choosing the just suitable bar stools for your space is not a much difficult task, when you are aware of the factors that will lead you towards the apt selection. Whenever you think on selecting these for your space, that first question that arises in your mind is what type of material you want for your bar stools? Material is an essential thing that needs to be considered when it comes to choosing any piece of furniture for your space. Wood is one such material that has the capabilities of matching as well as complementing every type of décor, whether it be modern, traditional, country, rustic or contemporary. When you finalize on having wooden stools for your space, you need to look for other things that can make you select the appropriate wood stool for your place. First, go through the place where you want to place the bar stool and then carefully observe the existing décor as well as style of your space. 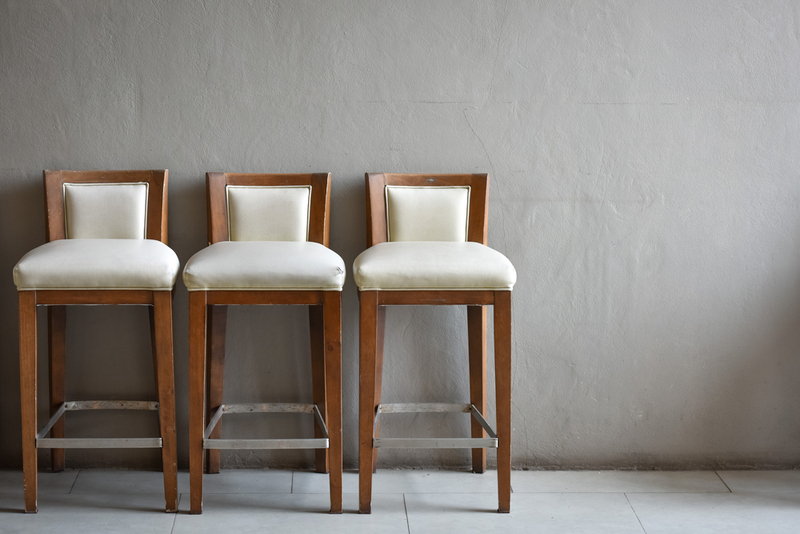 After you decide on the room where you will be putting the stool, try looking for the one that fulfills all your desires regarding a bar stool. Also, search for the appropriate type of wood bar stool, as different type of wood in used in making different types of tables. Depending upon your like and preference, you can select the apt type of wood for your stool. After looking for the wood, look whether it complements the décor and style of your place. Once you get the perfect style and design of wooden bar stool for your room, look for the appropriate shape, size and features. Size is an important factor that needs considering, in order to get the suitable stool for your home. Look whether the features that the stool provides accomplishes all your requirements. Plenty of features are provided by these stools these days such as padding, height adjustment, high back, low back, backless, arm rest, foot rest and many more as such. So, make sure you finalize some of the exceptional wood bar stool that not just fulfills all your décor needs but also provide you with a comfortable sitting experience. People should be able feel relaxed and must be able to enjoy their drinks as well as food with this type of wooden bar stools!